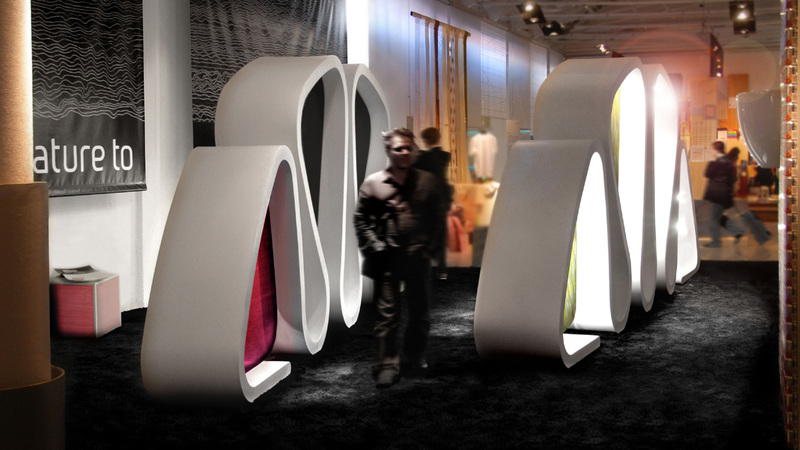 The enveloping Petals by Giancarlo Zema, designed in DuPont™ Corian® for the Avanzini Group Distributor of Quality, leading company in innovative materials research, are shown at the Museum of Science and Technology Leonardo Da Vinci in Milan. 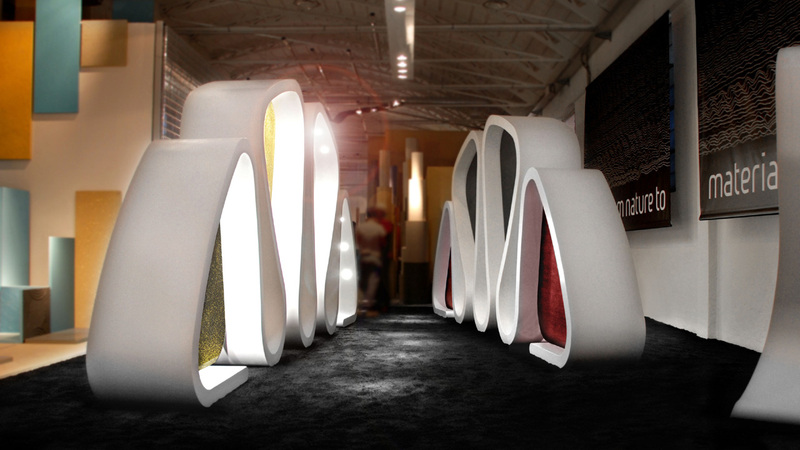 The ispiration came from observing the petals as part of sensual and magic flowers, so large strips in Corian, 6 metres long and 2.4 metres high, were designed to accomodate items of the Avanzini materials. The composition of petals has been made simpler thanks to the use of light ashlars with sophisticated concealed steel closures. The complete modular stand was projected to be easily moved around an Italian tours at the main exhibition fairs. 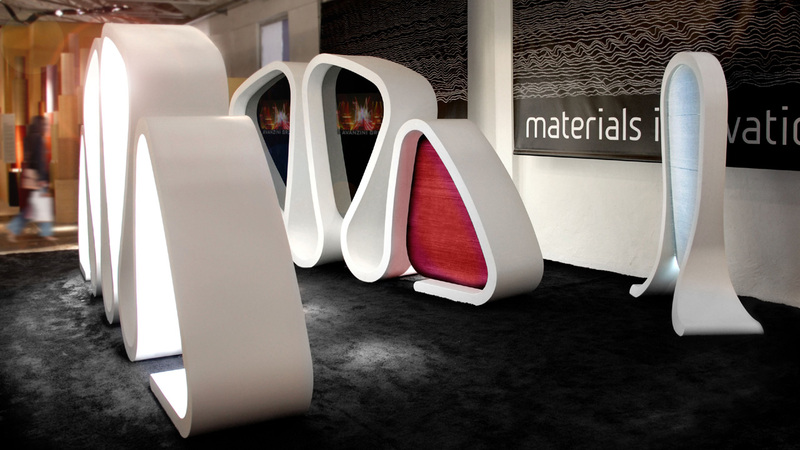 The stand houses two large display elements (petals), one reception and brochure cases, all following the same soft line in Corian, designed to blend.